LIC today launches two new plans Anmol Jeevan 2 (Table No.822) and Amulya Jeevan 2 (Table 823). 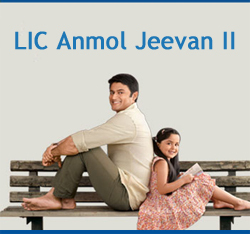 LIC Anmol Jeevan 2 and Amulya Jeevan 2 is term Plan. This plan provides financial protection of insured family in case of his/her unfortunate death. Well this plan is pure term plan which will provide risk coverage. If you have not purchased any term plan you should compare this plan with other term plans before buying. You will surely find many other better term plans are available in market. Premium charged by LIC for term plan is simply double or triple than other term plans. Example Term plan with 24 Lac of Sum & 25 year term in HDFC Click 2 protect will cost you 3020 Rs/- where in in LIC it will cost 9546 Rs/- as premium simply triple the amount. I think LIC is unaware about premium rate going on in market or LIC wants to fool customer by charging heavily. I personally advice not to purchase LIC term plan Anmol Jeevan II.